It's official. I have been bit by the running bug. Back in October, I mentioned that Gabe and I were going to run the New Orleans Rock and Roll Half Marathon while on vacation. This is still the case but I am adding a little more bling to my medal to my collection. 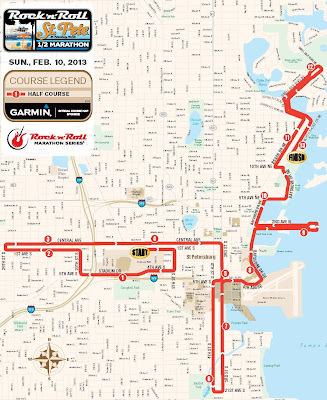 We officially signed up for the Rock and Roll Half Marathon in St. Pete!! Here's some good news for you. 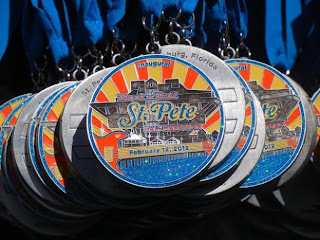 Our friends at St Pete Rock and Roll Half have given me a coupon code for my readers! Enter ROCKSTP2 at check out to receive $10 off your entry! 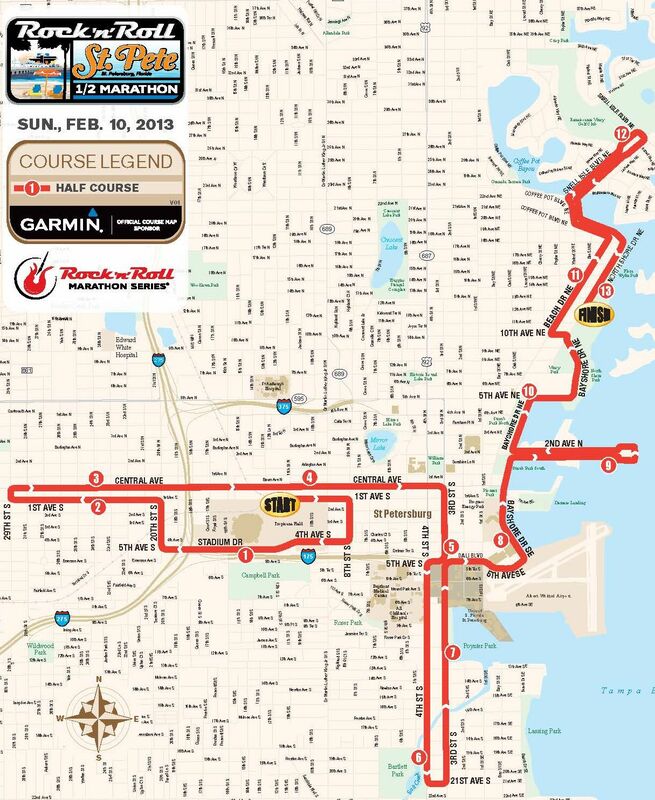 Gabe and I are super excited about the St. Petersburg Rock and Roll Half Marathon. This course is one of the better ones I have seen. It gives the runner an the opportunity to see the many sights of St. Pete Beach. I cannot wait to see who the on course entertainment is! Stay with me over the next few months as I will be training for THREE Half marathons! I am sure I will need as many words of encouragement as I can possibly get. Especially since in the middle of it all, I will be on a 5 day cruise with my best friend. Who would have ever thought that this girl would be running four half marathons before the one year anniversary of my first 5K. Crazy girl! ;) I was actually just looking at that one today, but if I end up in the NWM 1/2 in DC in April I can't do this one too. Oh no! It was supposed to go live yesterday. I will check into it now.